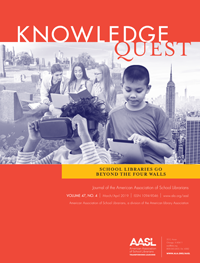 During the third week of AASL’s School Library Month it is essential to reinforce the importance of making and sustaining community connections at your school library. 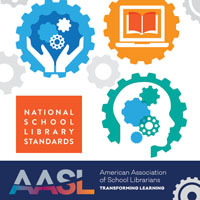 Therefore, the AASL School Library Month committee has created a series of activities that school librarians can use to establish and build these essential community connections. In elementary school, host a Family Reading Night to engage parents in a discussion about books and literacy development. Empower parents with the tools that they need to foster a culture of reading at home. In middle school, have students create a Little Free Library and help spread the joy and power of sharing books. Work with students to build a Little Free Library for the school community and/or neighborhood. In high school, work with a local organization to donate books to youth and adults in correctional services. Raise awareness in your community to help acquire donations to support these reading initiatives. These community connections can all begin in April during AASL’s School Library Month, but can continue on through the rest of the school year and into the future of the school library program. Check out this week’s webinar, “Making Community Connections,” a prerecorded webinar available on Monday April 16, 2018, on the SLM Website. Moderated by Shannon McClintock Miller, this webinar examines how teacher librarians can cultivate partnerships within the school and local community to promote engagement and a lifelong learning process. Sue Kowalski shares her approach on maximizing awareness and impact of the school library program through empowering student leadership, aligning library outreach with school and district goals, and focusing consistently on everyday advocacy both through and in the library. 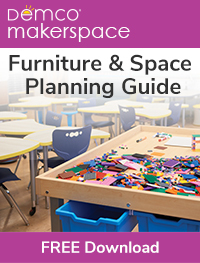 Gina Seymour explains how she espouses a platform of empowering students to become compassionate leaders at school, within their community, and beyond through the implementation of makerspace activities and instructional collaborations. 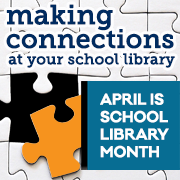 How are you making community connections at your school library during AASL’s School Library Month? Share your ideas on social media by using the hashtags #AASLslm and #slm18.